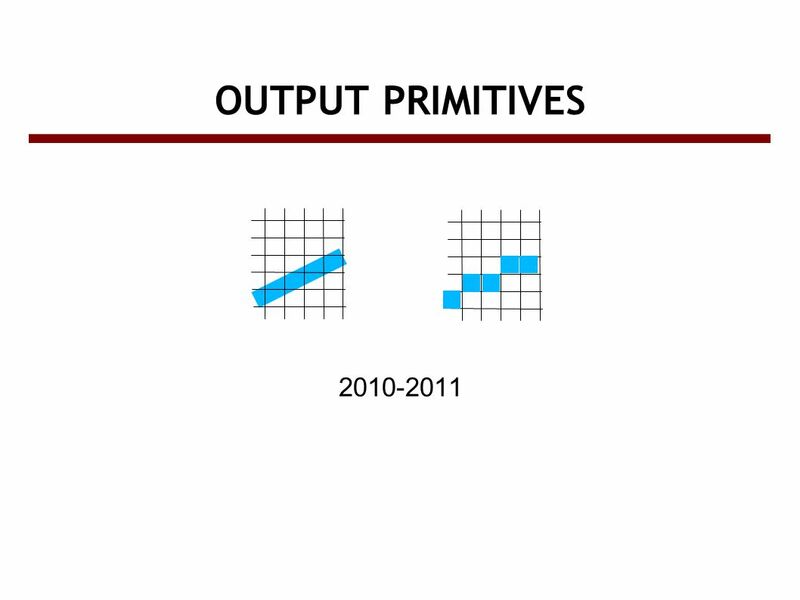 OUTPUT PRIMITIVES 2010-2011. 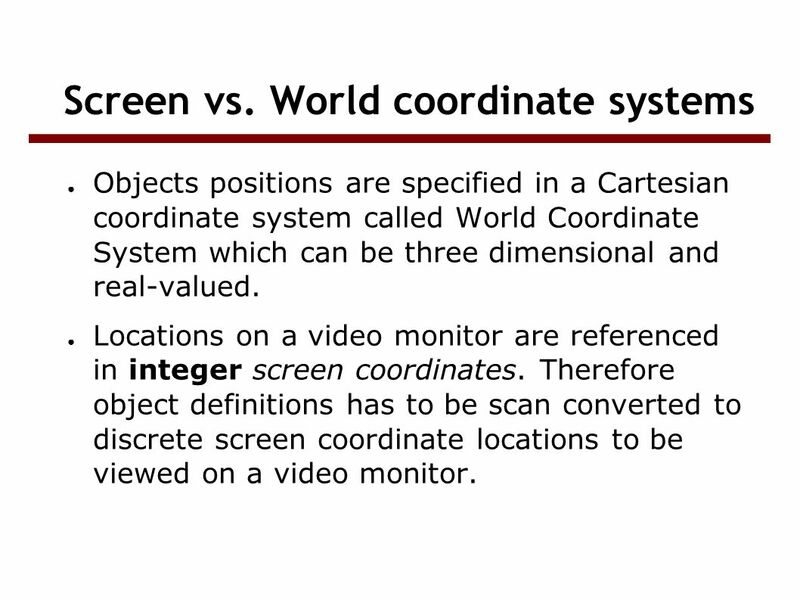 Screen vs. World coordinate systems ● Objects positions are specified in a Cartesian coordinate system called World Coordinate. 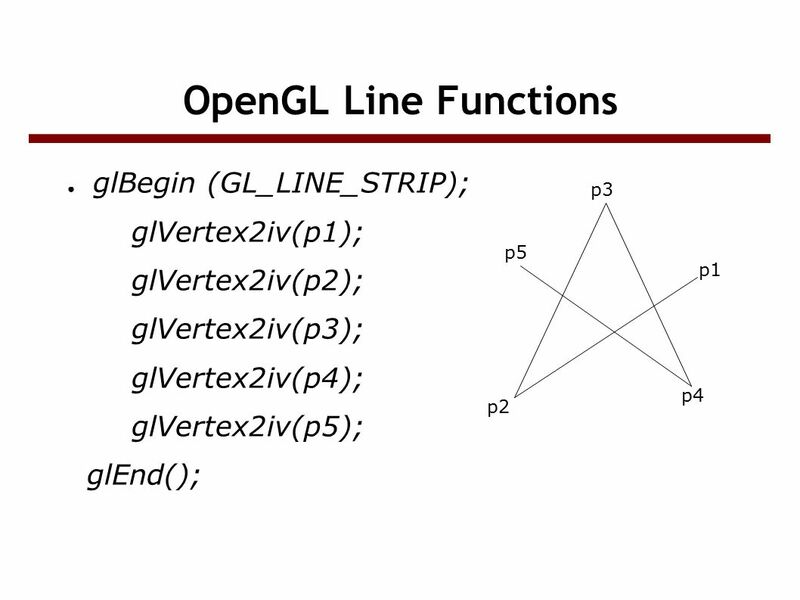 2 Screen vs. World coordinate systems ● Objects positions are specified in a Cartesian coordinate system called World Coordinate System which can be three dimensional and real-valued. 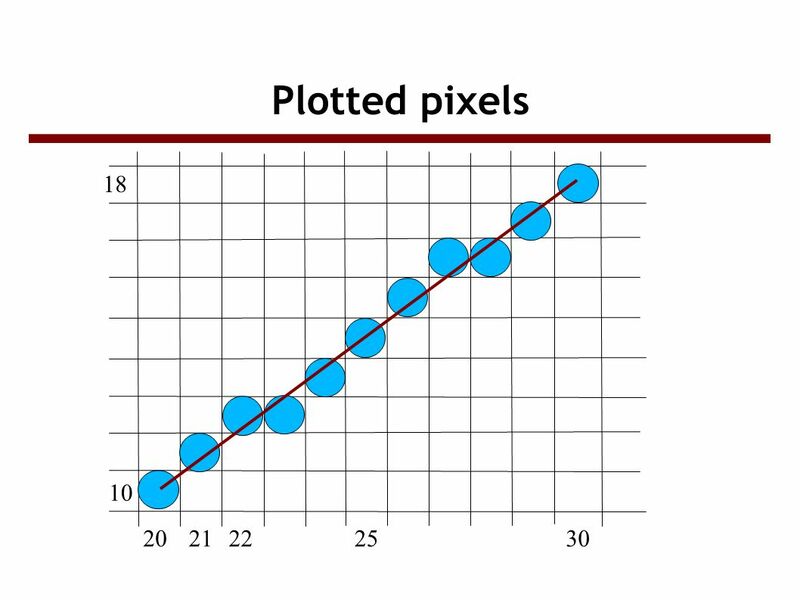 ● Locations on a video monitor are referenced in integer screen coordinates. 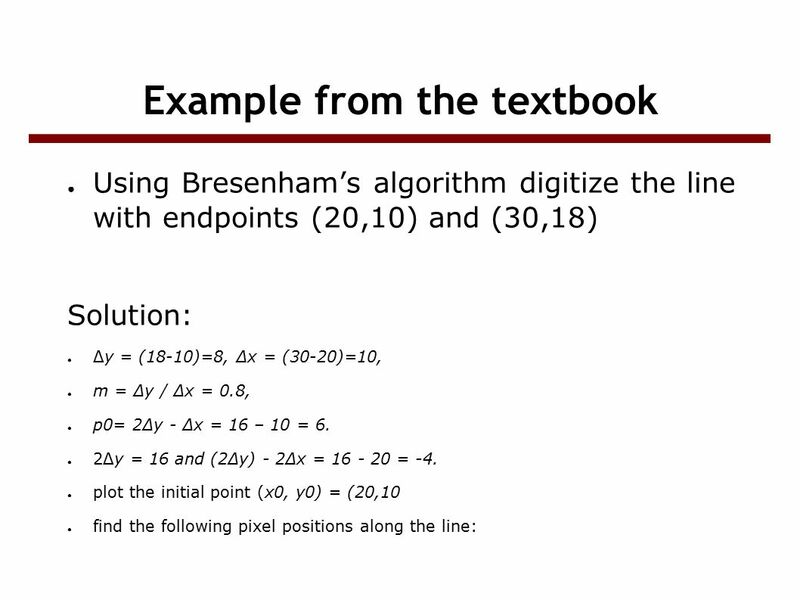 Therefore object definitions has to be scan converted to discrete screen coordinate locations to be viewed on a video monitor. 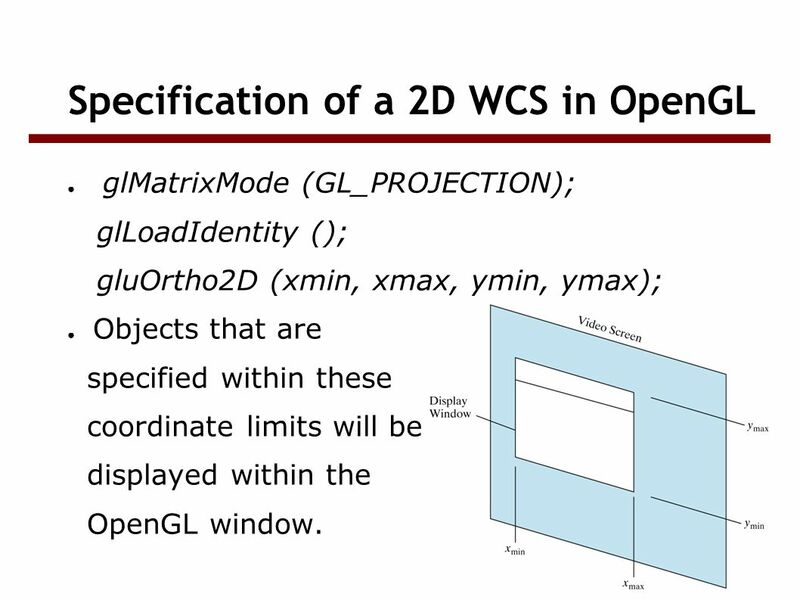 3 Specification of a 2D WCS in OpenGL ● glMatrixMode (GL_PROJECTION); glLoadIdentity (); gluOrtho2D (xmin, xmax, ymin, ymax); ● Objects that are specified within these coordinate limits will be displayed within the OpenGL window. 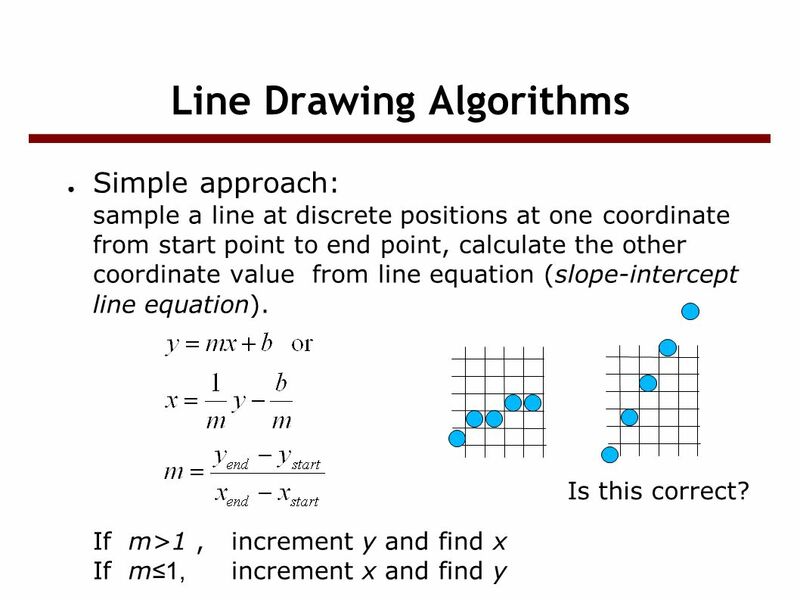 10 Line Drawing Algorithms ● Simple approach: sample a line at discrete positions at one coordinate from start point to end point, calculate the other coordinate value from line equation (slope-intercept line equation). 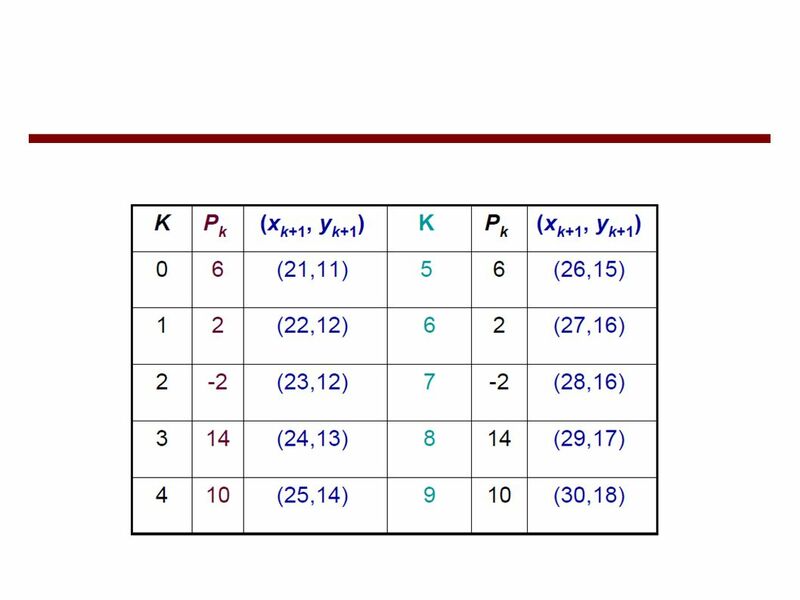 If m>1, increment y and find x If m ≤1, increment x and find y Is this correct? 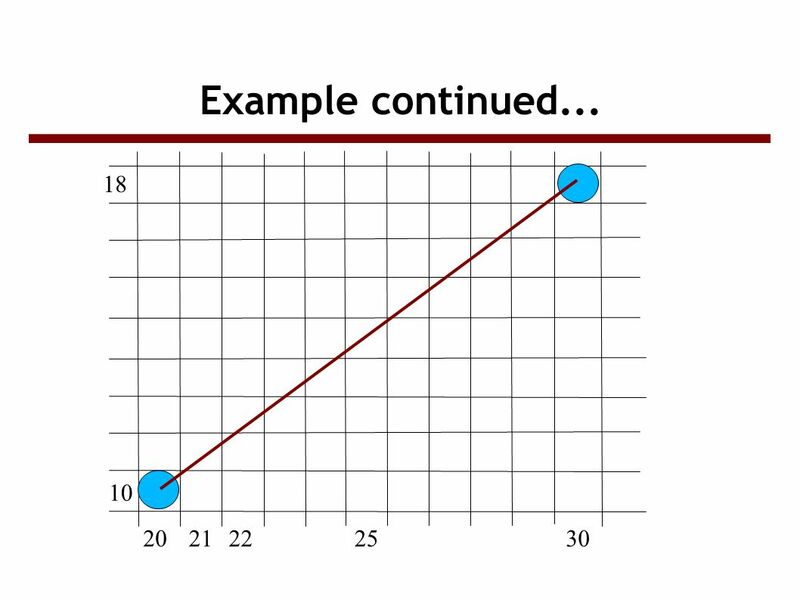 12 DDA ● Is faster than directly implementing y=mx+b. 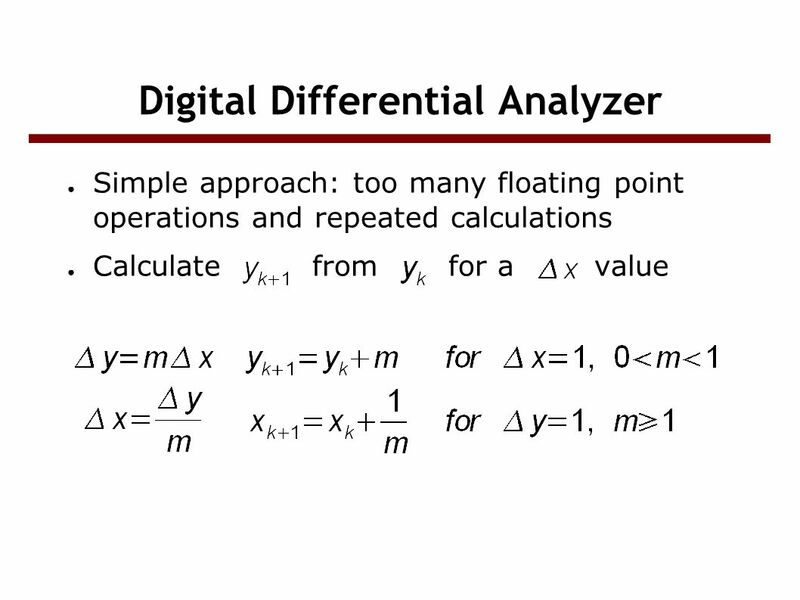 No floating point multiplications. 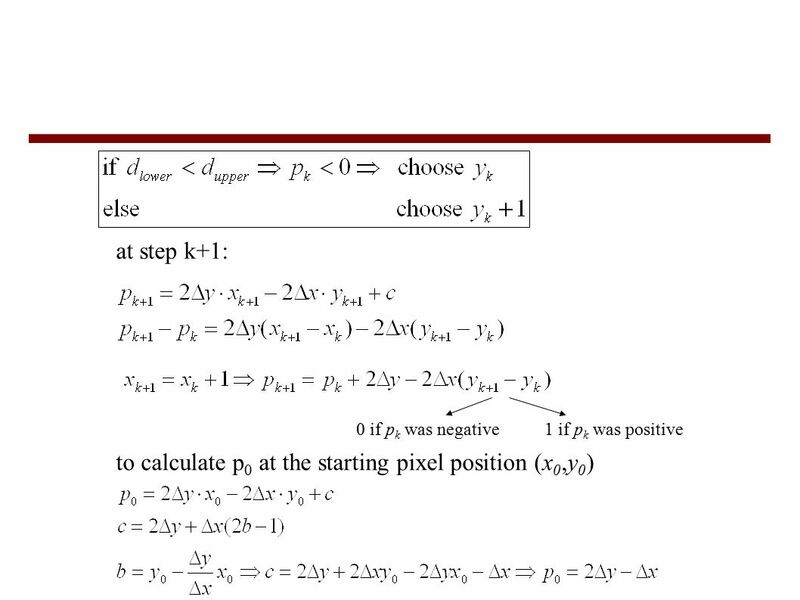 We have floating point additions only at each step. 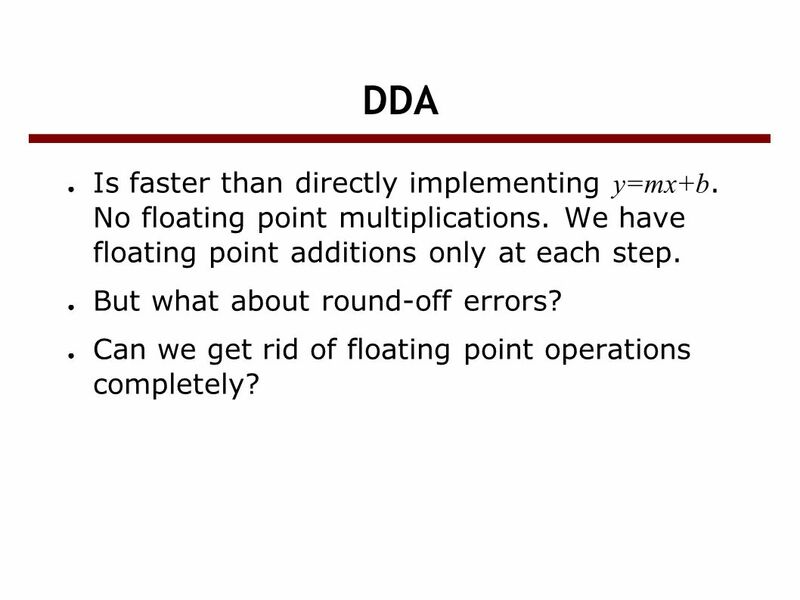 ● But what about round-off errors? 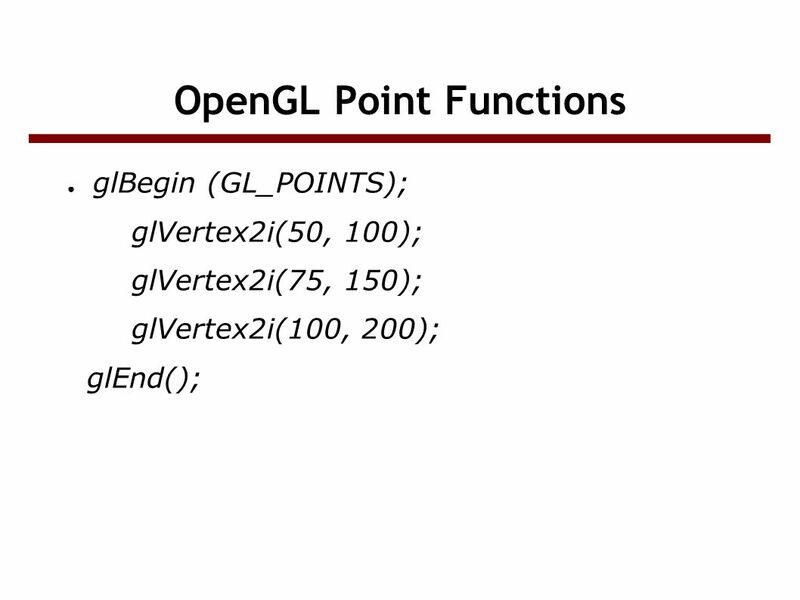 ● Can we get rid of floating point operations completely? 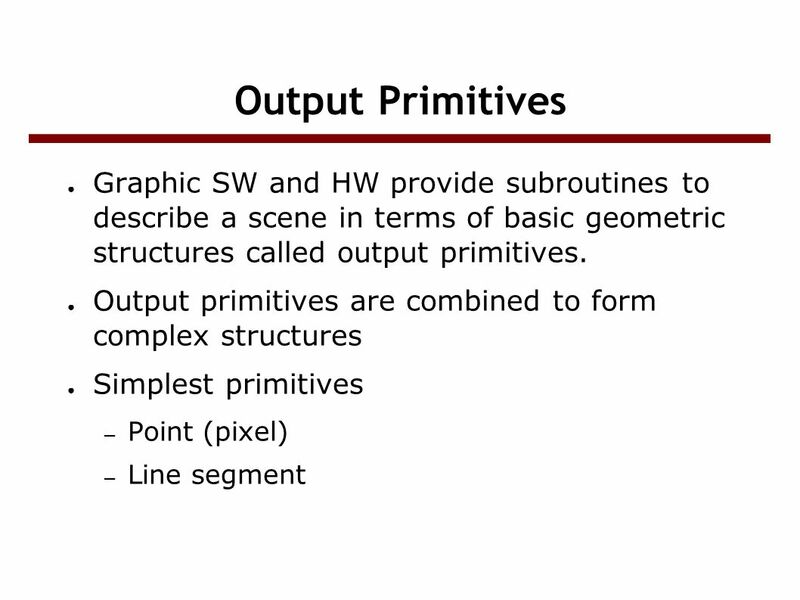 Download ppt "OUTPUT PRIMITIVES 2010-2011. 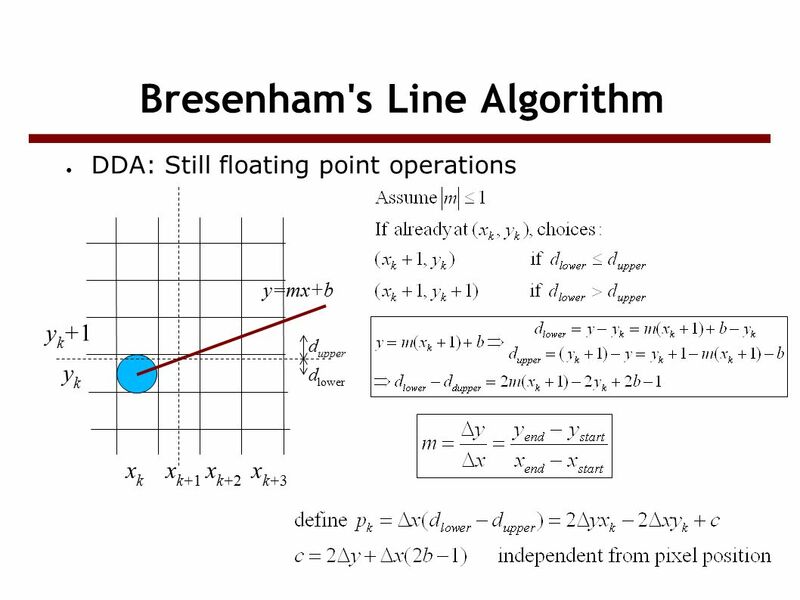 Screen vs. World coordinate systems ● Objects positions are specified in a Cartesian coordinate system called World Coordinate." 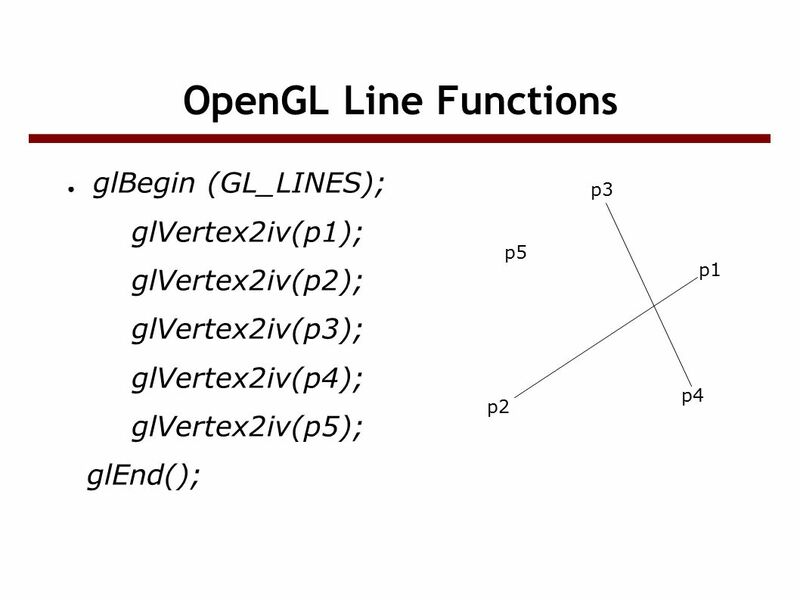 OpenGL: Simple Use Open a window and attach OpenGL to it Set projection parameters (e.g., field of view) Setup lighting, if any Main rendering loop –Set. Line and Curve Drawing Algorithms. 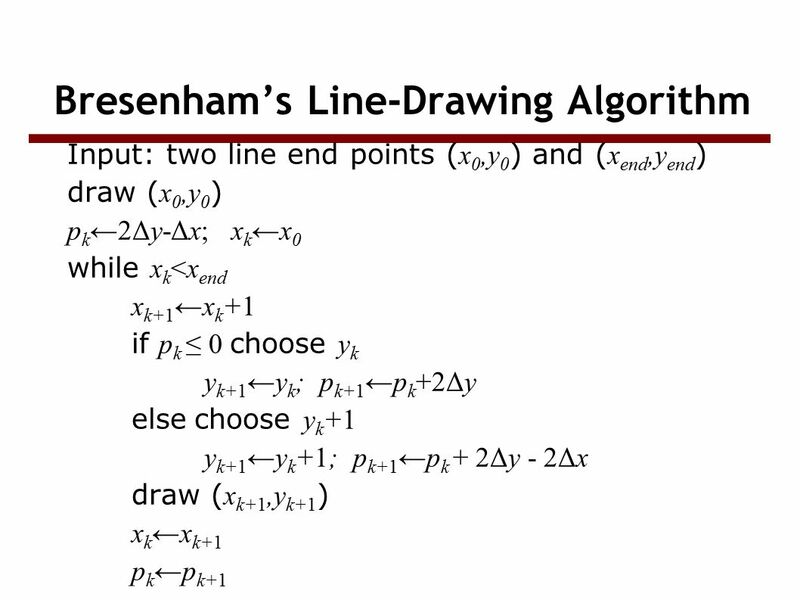 Line Drawing x0x0 y0y0 x end y end. 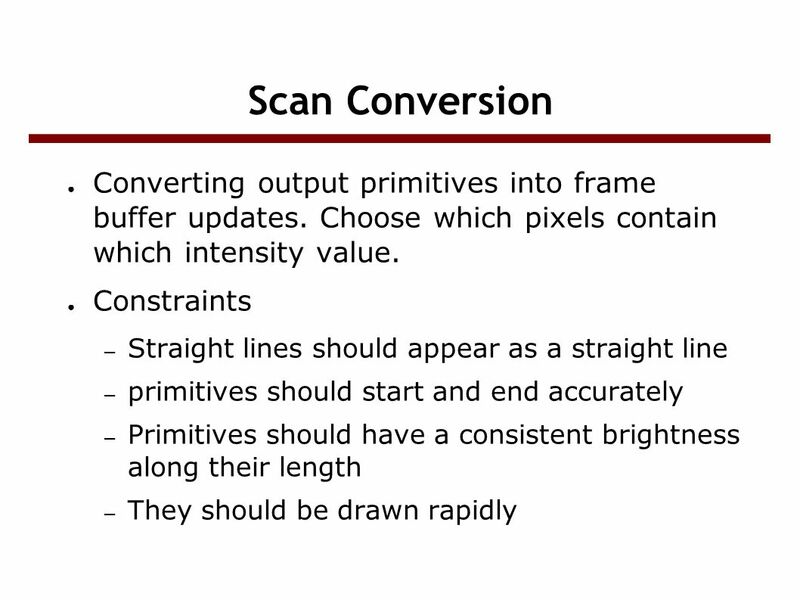 2006 by Jim X. Chen: 1.1. Review –Graphics commands specify straight lines or other geometric primitives that are scan-converted.